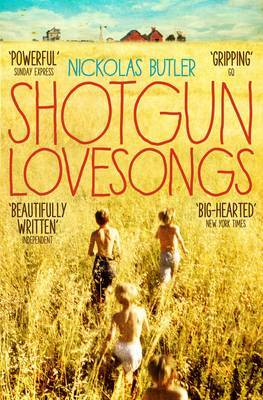 One of my books of 2014 is out in paperback in February – cue fanfare of trumpets – that gorgeous American small town gem, Shotgun Lovesongs. I’ve raved about this book so often on this blog that you could be forgiven for thinking that Mr Butler is my long lost brother but it’s sublime, and that’s not a word I use often. Preferred the original jacket, though. Keeping with the American theme, the first instalment of Jane Smiley’s The Last Hundred Years Trilogy, Some Luck, is being published promptly in paperback in February – the hardback edition only appeared in the UK last November. The trilogy tells the story of an American century reflected and refracted through one family – the Langdons – beginning in 1920. Each chapter of this first instalment follows a year in their lives ending in 1953. The second instalment is due this May and I’m looking forward to it very much, particularly after Some Luck’s ending which left a large question mark over the family’s future. Johanna Lane’s impressive first novel Black Lake is written in that pared back, elegant style which seems to be the mark of so much Irish writing. The past throws a dark shadow in Lane’s novel, the story of a family no longer able to maintain their nineteenth century Donegal estate, which reminded me a little of William Trevor’s The Story of Lucy Gault. Praise indeed! Sebastian Barry is another Irish writer who excels in spare, beautiful prose. His latest novel, The Temporary Gentleman, is about Jack McNulty, an Irishman whose Second World War commission with the British Army has never been made permanent, who tells his story from his lodgings in Accra in 1957. I’ve yet to read a Barry I haven’t admired. Ellen Feldman’s Scottboro, her re-imagining of an infamous miscarriage of justice in 1930s Alabama, made quite an impression on me so I’m looking forward to The Unwitting, set against the backdrop of the Cold War, which explores the betrayal and the aftermath of the Kennedy assassination through Nell Benjamin whose world is shattered by a phone call. I see the publishers have kept the original cover which sports what seems to be one of the most popular jacket motifs of the last couple of years: a woman in a red dress walking away from the camera. Is it just me, or has anyone else noticed this? I’ve been a fan of Michael Cunningham since I read A Home at the End of the World, a tender novel about what constitutes a family. His new novel The Snow Queen is about two brothers, one a struggling musician who turns to drugs to release his creativity, the other drawn to religion after experiencing a vision in Central Park. I’m a little doubtful about that premise but we’ll see. 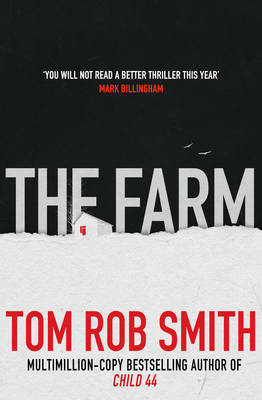 Regular readers of this blog might be surprised to find that the last paperback on my February list is a thriller, not a genre that usually appeals but there’s something about Tom Rob Smith’s The Farm that snags my attention. Perhaps it’s the Scandi connection. Far from enjoying the blissful retirement on a Swedish farm that Daniel had assumed, his parents are on their way to London each with a different story about the other’s crimes and misdemeanours. Daniel must decide who’s lying and who’s not. Bit of a page-turner, apparently. That’s it for February paperbacks. A click on a title will take you to a review on this blog or to Waterstones website for a more detailed synopsis of those I haven’t reviewed. Click here if you’d like to find out which February hardbacks caught my eye. This entry was posted in Random thoughts, Reviews and tagged Black Lake, Ellen Feldman, Home at the End of the World, Jane Smiley, Johanna Lane, Michael Cunningham, Nickolas Butler, Paperbacks published in February 2015, Scottsboro, Sebastan Barry, Shotgun Lovesongs, Some Luck, The Farm, The Snow Queen, The Temporary Gentleman, The Unwitting, Tom Rob Smith on 26 January 2015 by Susan Osborne.